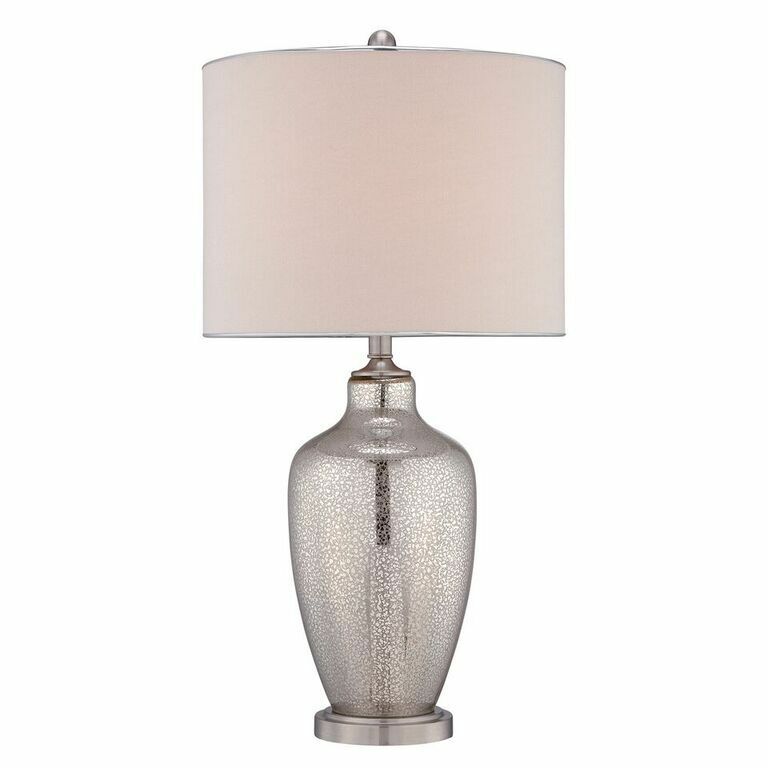 The Elstead Nicolls Mercury Glass Table Lamp is supplied with a beige fine grain linen shade. The Elstead Lighting Nicolls Table Lamp Is A Mercury Glass Table Lamp. The Nicolls Table Lamp By Quoizel Lighting Is Dressed With A Beige Fine Grain Linen Hardback Shade.